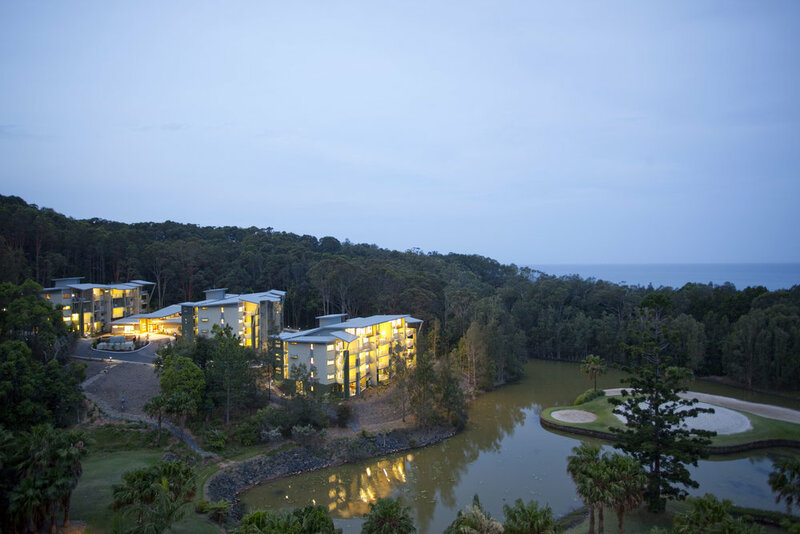 The Treetops Resort Pacific Bay is set into a secluded hillside of Coffs Harbour, overlooking the picturesque lagoon and golf course, with views of the Pacific Ocean. 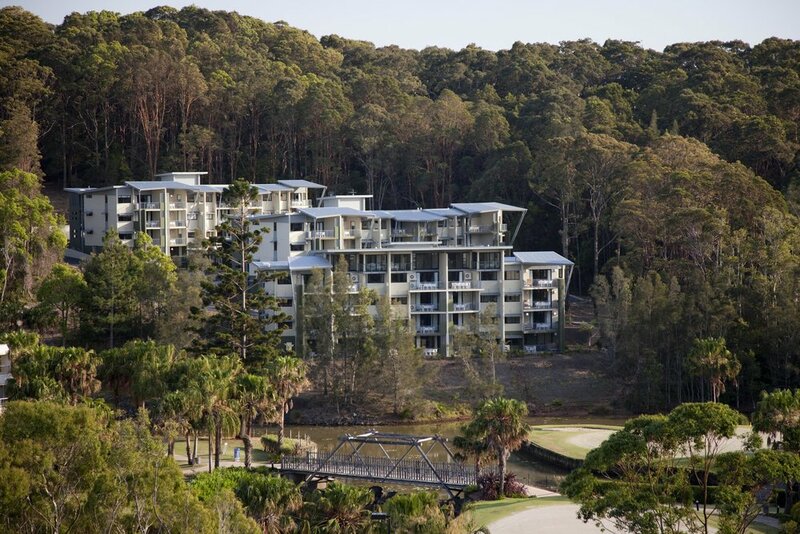 Taking advantage of the idyllic treetops setting Guymer Bailey Architects reworked the design of an existing Development Approval to cater for the challenging steep terrain and provide more coastal character. 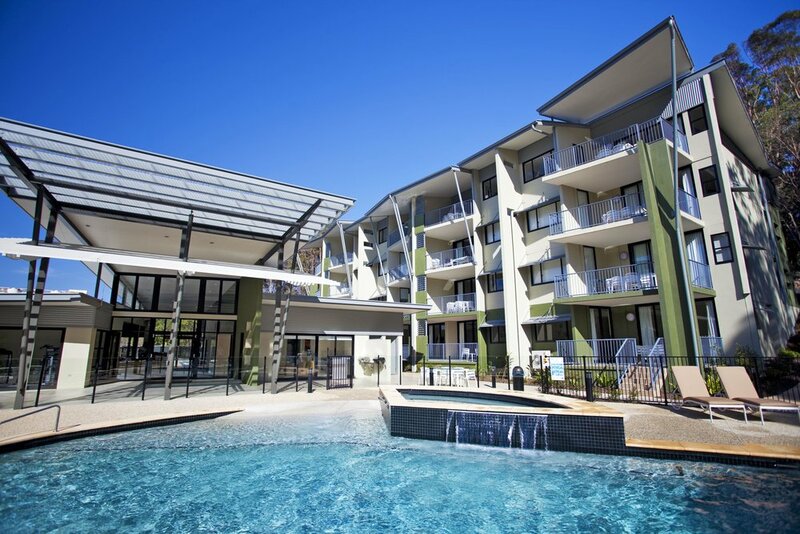 The Treetops Resort features the main reception building, a guest pool and three residential buildings linked through a network of bridges, lifts, and pedestrian paths, that also provide residents and guests access to the existing bush and beach trails. 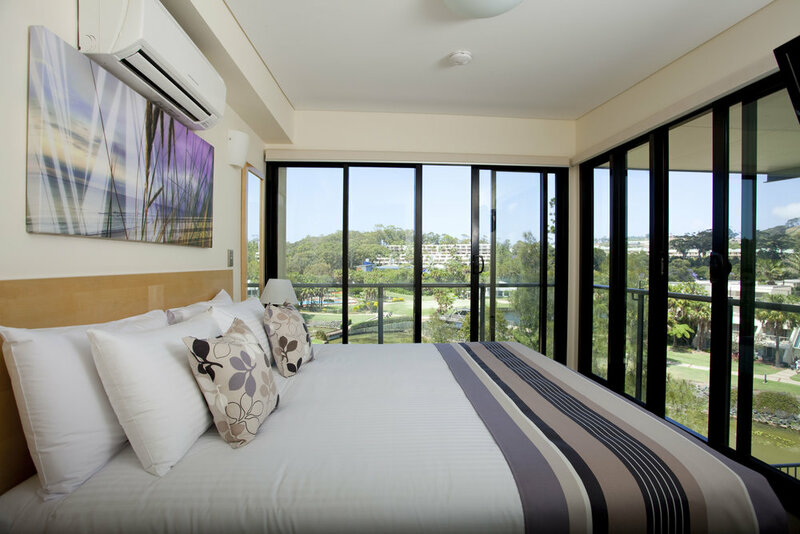 The residential buildings contain 60 apartments designed in a variety of configurations including one, two and three bedroom apartments with suite types ranging from standard and deluxe, to penthouse and presidential. 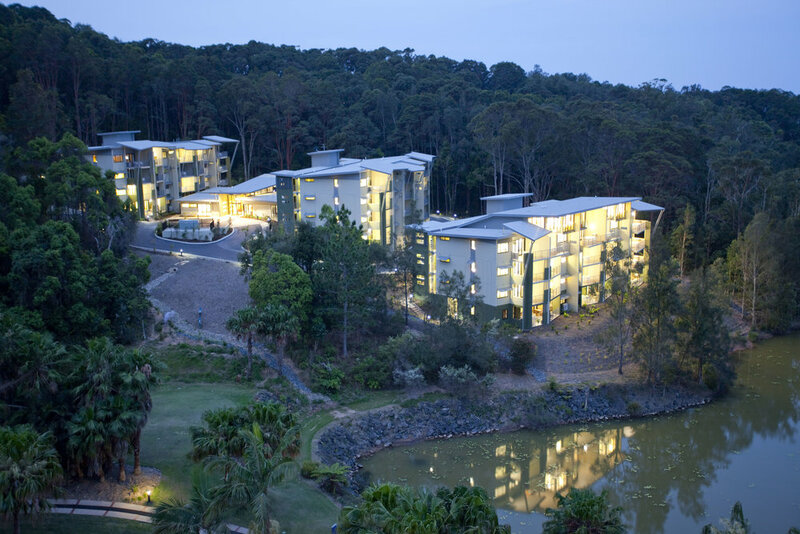 The landscaping of Treetops Resort links the architecture to the surrounding native vegetation designed to assist with the re-vegetation of neighbouring koala precincts.